This French audiobook clearly explains the construction and uses of the French conditional, imperative and subjunctive moods. It explores situations when English and French don’t use the same moods, gives tips on how to avoid complicated constructions and focuses on what is difficult for students such as the hypothetical constructions (‘if’ clauses). The ongoing story of Mary and her friends is fun and lively and illustrates the points of grammar in context. You’ll then practice the new concepts with exercises. 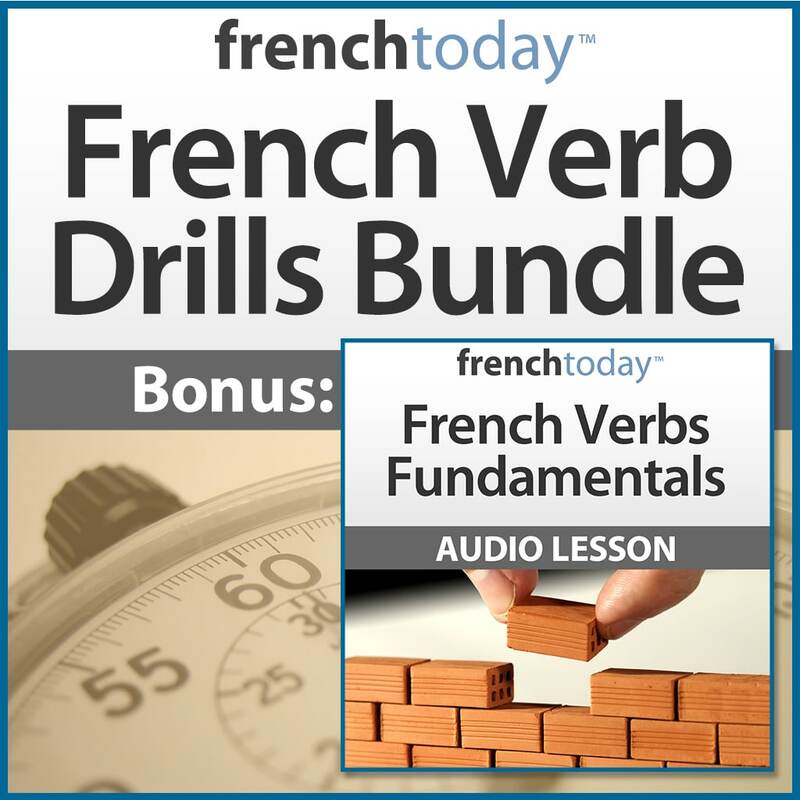 9 Hours 02 min of story chapters + study guide + grammar and vocabulary exercises – all professionally recorded by a Parisian native + 205 pages transcript. I am extremely disappointed! Almost everything is in English but stories which are not translated. It is probably good as an addition to a classic study with a book at home. You can not study it on a way. Bonjour Maria. Sorry to hear your feedback and I’ll be contacting you to arrange for a refund since you are not satisfied with your purchase. First of all, I’m confused when you say that the stories are not translated because all stories are indeed translated into English in the transcripts. 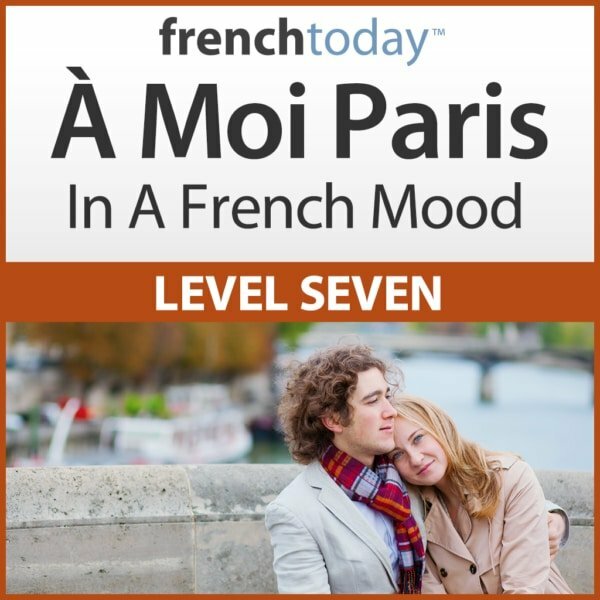 As explained on the product detail page, À Moi Paris Level 7 is a study method: this level focusses on explaining the use of the imperative, conditional and subjunctive moods. 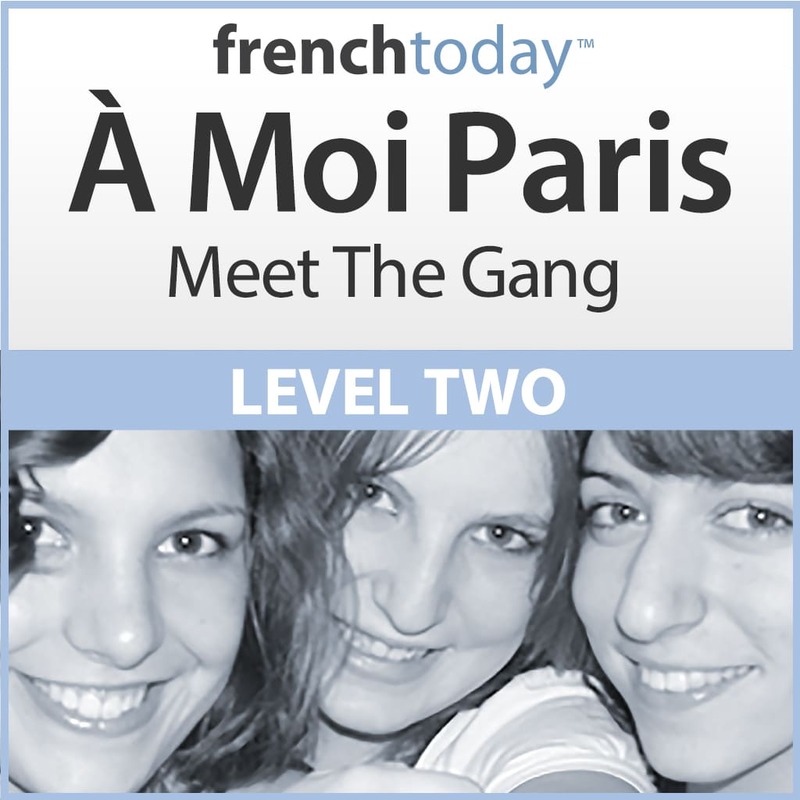 Like the rest of the À Moi Paris method, it is aimed at teaching French to English speakers and all the grammatical explanations are indeed in English but with many French examples and exercises. 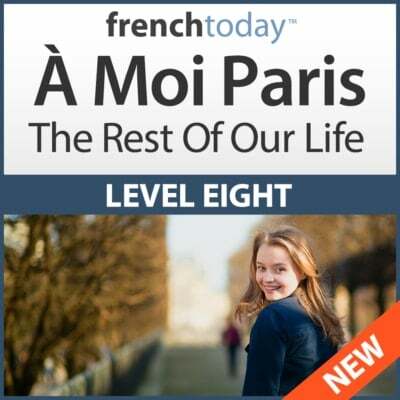 If you wanted a longer story in French, we’ll be happy to trade you for level 8, or any of the “even” number audiobooks which contain longer story chapters. Another good book from French Today. Love the two speeds, the new app which allows me to go back a certain amount to relisten, etc. 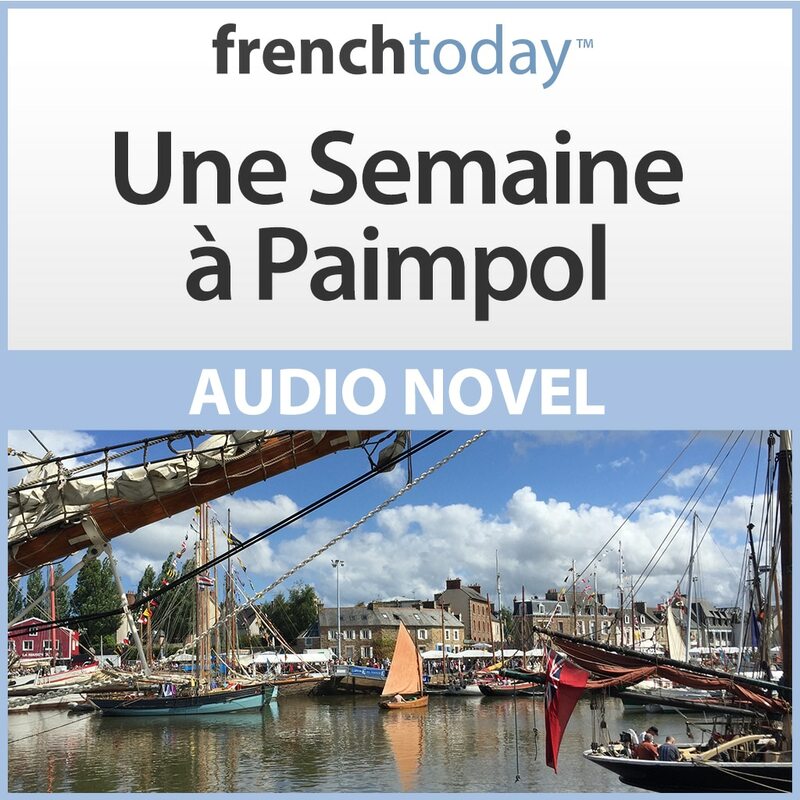 I have been working my way though the À Moi Paris audiobooks and am finding this one as good and fun as the earlier ones. I began as an intermediate French learner, but with big gaps in my grasp of French grammar, and I’d say it’s definitely worth buying the earlier books before this one to get the full benefit of Camille’s brilliant teaching if you’re at all shaky on any area of grammar. They are also excellent for improving your listening skills. However, I’m enjoying this audiobook best of all, as it feels incredibly satisfying to understand when and how to use the conditional. I haven’t got onto the subjunctive yet, but am confident I’ll enjoy learning about that just as much. So I would definitely recommend this product! As for the other books in this series, this is a great combination of interesting story, in different speeds and a structured grammar lesson all in one. I really appreciate that you can hide the translation so you can challenge before verifying your understanding of the French. Great for intermediate level students looking to extend their apprentisage! I am now living in France and am anxious to be able to communicate beyond just getting by, to understand and to converse. I have no need to pass exams or do pages of exercises, so French Today is exactly what I was seeking. I have enjoyed and appreciated the weekly Unique French tips and was happy when the A Moi Level 7 was released. It is perfect to be able to skip the English and concentrate on the French content. And it’s great to be able to listen anytime, anywhere. And as a French resident I know the tips are all thoroughly modern and current and often more useful than one could find in a text book. 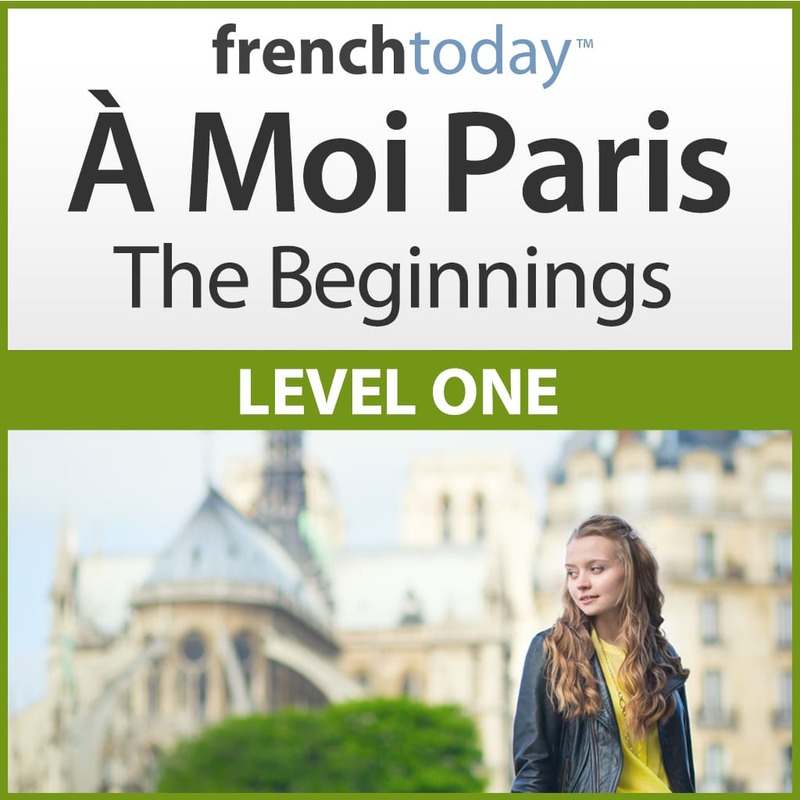 I await Level 8 and in the meantime am contemplating the French Verb Drills for additional review and practice. Thank you for a unique language learning concept. I love using Camille’s audio learning products. They are user friendly, they are challenging, they are interesting and stretch my learning process. J’ai étudié le français depuis 6-7 années, et j’ai utilisé un tas de produits. J’ai trouvé votre séries À Moi Paris formidable en ce qui concerne la grammaire et des astuces culturelles. Mais j’ai quelques petites critiques. Premièrement li y a trop d’anglais. Serait-il possible d’expliquer la grammaire en français plutôt qu’en anglais? Pour apprendre une langue etrangère ill faut de l’immersion totale, et je trouve des longues explications grammaticales en anglais distrayantes. D’ailleurs c’est souvent impossible de mettre une forme verbale en anglais en correlation avec une forme verbale en français, et vice versa. Vaut mieux d’appuyer sur le contexte. En plus pour achever une dialogue plus fluide et naturelle , à mon avis, vous devez utiliser d’autres locuteurs. Merci beaucoup Robert pour votre gentil commentaire, et je suis ravie que la série vous plaise et vous ait aidé. 1 – pourquoi des explications en anglais ? Pour ce qui est des explications en anglais, c’est un choix délibéré de notre part. Si les apprenants ne maîtrisent pas la langue utilisée pour expliquer, comment peuvent-ils bien comprendre les explications, surtout lorsqu’il s’agit de points de grammaire complexes ? – ceux qui ont besoin de comprendre les règles peuvent parfaitement les comprendre, en se concentrant sur le message et sans être distraits par des problèmes de traduction. Et puis ils peuvent après renforcer la théorie en étudiant l’histoire. 2 – pourquoi une seule voix ? Bon courage avec vos études de français. This whole series has been invaluable! As someone who speaks a few languages, I have gone through many different methods of study. Camille and Olivier have come up with a really effective method. Some learn best by listening and this series is ideal for that. The “slow” and “street” speeds for listening are a wonderful feature. Thanks for all of the work you have put into this. It has enabled me to make huge strides forward. I’ve been waiting for L7 with great anticipation. I’ve listened only to the “street” version, now thrice, as I find that version best meets my needs. Like other books in the series I have found it excellent, and a wonderful use in context of French forms (here moods) I need to understand when spoken and use myself. Hearing them like this makes it easier to incorporate them into my own speech. The story line sits nicely with the other books, and as usual, is read by Camille with lovely clarity and rhythm. Highly recommended. Love the poem! French Today is the only audio series I have found that can truly cater to upper level French studies! Most products are good for beginner or lower intermediate level, but do not go beyond. As always, SO useful and such an enjoyable way to improve one’s fluency. Will be queuing up for Level 8 next!